OnLive is doing an exclusive promotion now through March 14th. Order a FullPlay Pass of Homefront at $49.99 and you'll receive a free On-Live gaming system as well as free FullPlay Pass for Metro 2033.You'll be on the hook for taxes and shipping but you are getting a $99 system and free $39.99 FullPass for just 50 bucks. Here is the cavit, OnLive says this is open to a limited number of subscribers while supplies last but does not mention the exact number. So this could be a bit of a crap shoot on the "free" system, you'll still get the free game however. ALL SALES ARE FINAL. NO REFUNDS. NO RETROACTIVE DISCOUNTS. Purchase a Full PlayPass for “Homefront” between February 25, 2011 (2:00 PM PST) and March 14, 2011 (11:59PM PDT) and receive a promo code for a Full PlayPass to “Metro 2033” shortly after purchase. A limited number of OnLive subscribers will also receive an email after March 14, 2011 (11:59PM PDT) containing a promo code for a FREE OnLive Game System. Shipping, handling and tax for the OnLive Game System not included. The free OnLive Game System offer is valid during “Homefront” pre-order while supplies last. Promo codes for “Metro 2033” and free OnLive Game System (while supplies last) must be redeemed by March 31, 2011 (11:59PM PDT). Terms are subject to change without notice. Only valid within the contiguous United States while connected to the OnLive Game Service. Game purchases are not transferable. No cash value. Game pre-orders may be cancelled and refunds are available at any time before the game is released on the OnLive Game Service. Cancellation of the pre-order cancels offer promo codes, the “Metro 2033” Full PlayPass, and the free OnLive Game System offer. Contact OnLive Customer Service for cancellation and refund requests at support@onlive.com or 1-888-ONLIVE-5. For more details you can checkout this On-Live Blog post. The Verizon iPhone 4 may be a new incarnation of the old AT&T iPhone but it appears as though Apple didn't fix one of the phones old issues, the so called 'death grip' problem that led to AntennaGate. According to Consumer Reports, lab tests have shown that the Verizon iPhone 4 suffers from a "death grip" problem similar to last summer's AT&T model. This resulted in the phone suffering the same issue of dropping calls, weak signals, the inability to place calls and an overall poor performance. "The problem is similar to the one we confirmed in July with the AT&T version of Apple's newest smart phone. It can occur when you hold either version of the phone in a specific but quite natural way in which a gap in the phone's external casing is covered. The phone performs superbly in most other respects, and using the iPhone 4 with a case can alleviate the problem," said Paul Reynolds, the magazine's electronics editor, in a blog post. The issue facing the new iPhone meant Consumer Reports again declined to put the device on its "recommended" list, even though the device is among its highest-rated smartphones. Apple no longer offers a free case to buyers of the iPhone 4, as it did for a time limited time after the problem was first discovered on the AT&T version. However Consumer Reports says that a bumper for the Verizon version should alleviate the problems much like it did previously with the AT&T phones. In an attempt at returning more high-quality sites in their search results Google has made a major shift in their search algorithms. The move seems to be a major shift for Google as it says the new algorithms will "noticeably impact 11.8% of queries." "This update is designed to reduce rankings for low-quality sites—sites which are low-value add for users, copy content from other websites or sites that are just not very useful. At the same time, it will provide better rankings for high-quality sites—sites with original content and information such as research, in-depth reports, thoughtful analysis and so on. We can’t make a major improvement without affecting rankings for many sites. It has to be that some sites will go up and some will go down. Google depends on the high-quality content created by wonderful websites around the world, and we do have a responsibility to encourage a healthy web ecosystem. Therefore, it is important for high-quality sites to be rewarded, and that’s exactly what this change does." Personally I think its a great move! Spammers and content farms creating sites with nothing more than great SEO and very little (if any) original content shouldn't be rewarded with high rankings and front page turnouts. Sites that work their collective butts off and provide users with good quality content should garner more attention and be reward. Its a little early in the game to tell how well the new algorithm works, or if it will have any impact on my own searches or our site. But hopefully it will silence some of the critics like Michael Arrington over at TechCrunch (one of my favorite haunts). He has been heavily criticizing Google for several weeks of what he call "a lack of quality search results", particularly in certain categories like travel and commerce. Hopefully as Arrington says "sites like Demand Media, Associated Content and Mahalo" are on the cut list, but I kind of doubt it! Today made two exciting announcements for Apple fans. The first announcement being an update to the MacBook Pro lineup to include the latest Intel CPUs and AMD based graphics and even more interesting the inclusion of Intel's new high-speed Thunderbolt I/O technology. The second major announcement came in the form of a developer preview of Apple's next generation operating system dubbed Mac OSX Lion. The announcement of the new MacBook lineup should be an exciting one for Apple fanboys. The new Intel chips are expected to boost performance significantly with Apple touting a perform boost of up to twice the speed of the previous generation. The GPUs in the new MacBook also got a major overhaul with Apple making a surprising move and dropping long time partner NVIDIA for AMD. MacBook users will have the option to select either an AMD Radeon HD 6490M graphics processor with 256MB of GDDR5 memory on 2.0GHz configuration; or AMD Radeon HD 6750M graphics processor with 1GB of GDDR5 memory on 2.2GHz configuration. Other users will get Intel HD Graphics 3000 with 384MB of DDR3 SDRAM shared with main memory. Apple is claiming the new GPUs will perform up to 3x faster than the previous generation. In addition to the new CPUs and GPUs the MacBook Pro is the first computer on the market to include the new ultra fast Thunderbolt I/O technology. Developed by Intel with collaboration from Apple, Thunderbolt enables expandability never before possible on a notebook computer. Featuring two bi-directional channels with transfer speeds up to an amazing 10Gbps each, Thunderbolt delivers PCI Express directly to external high performance peripherals such as RAID arrays, and can support FireWire and USB consumer devices and Gigabit Ethernet networks via adapters. Thunderbolt also supports DisplayPort for high resolution displays and works with existing adapters for HDMI, DVI and VGA displays. Freely available for implementation on systems, cables and devices, Thunderbolt technology is expected to be widely adopted as a new standard for high performance I/O. The new 13-inch MacBook Pro, 15-inch MacBook Pro and 17-inch MacBook Pro are available through the Apple Store (www.apple.com), Apple’s retail stores and Apple Authorized Resellers. The 13-inch MacBook Pro is available in two configurations: one with a 2.3 GHz Dual-Core Intel Core i5 and 320GB hard drive starting at $1,199; and one with a 2.7 GHz Dual-Core Intel Core i7 and 500GB hard drive starting at $1,499. The new 15-inch MacBook Pro is available in two models: one with a 2.0 GHz Quad-Core Intel Core i7, AMD Radeon HD 6490M and 500GB hard drive starting at $1,799 and one with a 2.2 GHz Quad-Core Intel Core i7, AMD Radeon HD 6750M and 750GB hard drive starting at $2,199. The new 17-inch MacBook Pro features a 2.2 GHz Quad-Core Intel Core i7, AMD Radeon HD 6750M and 750GB hard drive and is priced at $2,499. Configure-to-order options include faster quad-core processors up to 2.3 GHz, additional hard drive capacity up to 750GB, solid state storage up to 512GB, more memory up to 8GB DDR3, antiglare and high-resolution display options and AppleCare Protection Plan. Additional technical specifications and configure-to-order options and accessories are available online at www.apple.com/macbookpro. In their second announcement today, and possibly the most exciting news for Apple fans, Apple gave developers a preview of Mac OS X Lion. This the eighth major release of Apple's operating system takes some of the best ideas from iPad and brings them back to the Mac. Lion features Mission Control, an innovative new view of everything running on your Mac; Launchpad, a new home for all your Mac apps; full screen apps that use the entire Mac display; and new Multi-Touch gestures. Lion also includes the newly introduced Mac App Store, which allows users to install and automatically update Mac apps via iTunes. The Lion preview is available to Mac Developer Program members through the Mac App Store today, and the final version of Lion will ship to customers this summer. 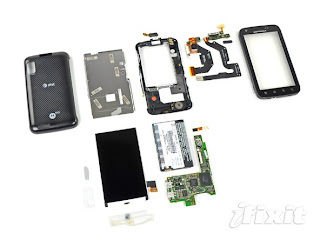 Thanks to the folks at iFixit Motorola Atrix fans get to see the inner workings of their new toy. The iFixit geeks have done the usual awesome job on their Motorola Atrix teardown which reveals the full details of the inner workings of the Atrix as well as the usual easy to follow step by step guide on how to get to those workings. Even more exciting for DIY'ers is that the teardown reveals that the glass panel is not glued to the LCD. This means that for those of us that are clumsy and drop and break our phone's screens or those that are always scratching the screens there is hope that we may be able to swap out the glass on our own. The Consumer Electronics branch of Kmart is giving a few lucky blogging gamers the chance chance to attend the E3 expo on the company's dime. So if you are a gamer, can write a good blog post and want the chance to attend E3 listen up! Beginning today through March 30, KmartGamer, an online resource and community for video gamers, is seeking submissions from gaming bloggers interested in attending the Electronic Entertainment Expo (E3) which takes place June 7 – 9 at the Los Angeles Convention Center. Be a skilled storyteller that's both passionate and knowledgeable about gaming, or a specific platform or genre. This passion must shine through clearly in your writing, photography, video -- everything you do that's gaming-related. In addition to being a general gamer and gaming enthusiast, you also have a clear passion in a specialty. This could be a platform, or a genre (e.g. sports, FPS). Why are you interested in going to E3? What would you be excited to see and cover at E3? Why do you want to go to E3 with KmartGamer? Describe your experiences with KmartGamer, such as how you learned about this call for submissions or how you discovered the various KmartGamer online resources. Step Two: Link their individual blog submission as a comment on the official KmartGamer.com blog announcing the call for submissions, located at http://www.mykmart.com/mykmart_blog/KmartGamer-bloggers-e3-2011. Bloggers are also required to supply their e-mail and mailing addresses in the necessary entry fields found on the KmartGamer.com blog by Wednesday, March 30. Following the submission process, a team of Kmart Consumer Electronics representatives will review the applicants and select three bloggers to attend E3 on its behalf and blog about their experiences. KmartGamer will also provide bloggers with travel and hotel expense and a daily per diem for the three-day expo. Gaming enthusiasts can also follow KmartGamer on Twitter at twitter.com/kmartgamer or on the KmartGamer blog at www.kmartgamer.com. Additionally, to learn about the latest Kmart consumer electronics offers and news visit, www.kmart.com/electronics. For more details checkout the KmartGamer blog post "KmartGamer is going to E3 2011 -- and you can too!" The Linux Foundation, the nonprofit organization dedicated to accelerating the growth of Linux, has announced the 2011 Android Builder Summit to take place from 13 to 14 April at the Hotel Kabuki, San Francisco. Following the Embedded Linux Conference, the ABS will run for one and a half days, starting at 1 pm on the 13 April. The ELC runs from the 11 to 13 April. The Android Builders Summit is a technical summit for OEMs, their device manufacturers, integrators, custom builders, and the growing Android and Linux Kernel developer communities. Android is expanding to an increasing number of industry segments in addition to smart phones and tablets. There is a need for the ecosystem of builders to collaborate on a common solution for existing limitations and desired features across all of these device categories. The Android Builders Summit provides an intimate forum for collaboration at the systems level and discussion of core issues and opportunities when designing Android devices. The summit addresses topics ranging from custom builds, alternative middleware, network functionality extensions, Peer to Peer frameworks, USB device support, security, unification of power management, tools and hybrid Android devices among many other topics. Co-Located with the 2011 Embedded Linux Conference, the Android Builders Summit is 1.5 days, beginning at 1:00pm on Wednesday, April 13th and continuing on April 14th with a full day of exclusive Android content including keynote presentations from Qualcomm Innovation Center and Motorola. This is an excellent opportunity for companies participating in Android-based product development to interact and exchange ideas with their industry colleagues and other participants from the Android community. Immediately following the summit, The Linux Foundation will be offering its recently announced Android Training classes. If you are interested in attending the Android Builders Summit it is encouraged that you to sign up early as there is limited space, and the event always reaches capacity. You can find registration information here. Embedded Linux Conference Attendees: $100 - If you are attending the Embedded Linux Conference, you can register for this event as part of your ELC registration. Do not use this registration form if you are attending ELC. Amazon Prime members got a great gift this morning when Amazon announced the company's plans to offer them a new benefit: unlimited, commercial-free, instant streaming of more than 5,000 movies and TV shows. This new benefit is being added at no additional cost to current and new Amazon Prime members and whats even better the membership will continue to only cost $79 per year. There is one downside however, the free service is only available to those that actually pay for an Amazon Prime membership – those that receive a free Student or Amazon Mom Prime membership are out of luck. Movies and TV shows included with an Amazon Prime membership can be watched instantly on Macs, PCs and nearly 200 models of Internet-connected TVs, Blu-ray players and set-top boxes that are compatible with Amazon Instant Video. The selection of videos available for instant streaming currently includes movies, such as "The Girl with the Dragon Tattoo " trilogy, "Amadeus," "Syriana ," and "Chariots of Fire," noted documentaries such as "Food Inc.," "March of the Penguins" and "Ken Burns' National Parks," plus TV shows, such as "Doctor Who," "Farscape," "Fawlty Towers" and children's shows, such as "Arthur," "Caillou," "Super Why!" and "Mister Rogers' Neighborhood." Customers can learn more about an Amazon Prime one-month free trial and start watching instantly at www.amazon.com/primevideos. For more information on Amazon Instant Video, visit www.amazon.com/instantvideo. The first service pack for Windows 7 has finally made its public debut. Six days ago, Service Pack 1 for Windows 7 and Windows Server 2008 R2 became available for MSDN/TechNet subscribers and had been leaked to the web via torrent for several days. Today however it is officially available for the rest of the world. Other than all the incremental hptfixes that Microsoft has released to date SP1 only contains two major new features, which will not affect the majority of users. The first being RemoteFX, a standalone product that requires Windows Server 2008 R2 to be used. The second feature is an update for HyperV in Windows Server 2008 R2 called "Dynamic Memory". The feature is as simple as it sounds -- it dynamically allocates memory to virtual machines as required and is able to remove memory from virtual machines when others need higher resources. You can read more about the new features over on the Windows Server Team Blog. Download Windows 7 and Windows Server 2008 R2 Service Pack 1 (KB976932) directly from Microsoft. A French Internet company 1plusV has filed a complaint with the European Commission claiming Google Inc. is abusing its dominant market position to stop smaller competitors from generating advertising revenues. 1plusV is the parent company of French search engine eJustice.fr. which offers users a thematic search engine but claims it has been forced to adopt Google technology to access commercially vital advertising services. The Versailles-based firm is a competitor to Google's own thematic search but has claimed Google forced thematic search engines to adopt its own technology if they wanted to use its advertising service, thus limiting the development of alternative technologies. The company also claims that Google ignored requests by certain websites not to be listed among search results, which gave it a competitive advantage over search engines that did respect those requests. 1plusV is also claiming that Google is prioritizing its own vertical, or thematic, searches for books over those of competitors, without visually differentiating them from the rest of the searches. The European commission opened an investigation into the market dominance of Google last November after months of mounting complaints.Under those charges the commission was investigating whether Google lowered the position among unpaid results of services with which it competes, such as price comparison or specialized search, and placed its own services higher to shut out competition. The commission is also investigating allegations that Google lowered its quality score for sponsored, or paid, links of competing search services. The three U.S. senators that were initially responsible for legislation that many dubbed the "Internet Kill-Switch" have introduced a new bill that would clearly and concisely remove those powers from government control. “We want to clear the air once and for all. As someone said recently, the term 'kill switch' has become the ‘death panels’ of the cybersecurity debate. There is no so-called ‘kill switch’ in our legislation because the very notion is antithetical to our goal of providing precise and targeted authorities to the President. Furthermore, it is impossible to turn off the Internet in this country. This legislation applies to the most critical infrastructures that Americans rely on in their daily lives – energy transmission, water supply, financial services, for example – to ensure that those assets are protected in case of a potentially crippling cyber attack. I haven't yet had the chance to review all of the new 221-page bill but have noticed the addition of the the new provision and have to say this is definitely a major step in the right direction. The old versions of the bill were very vague and offered broad wording. Much of the old bill remains and many of the provisions are still in place. For instance the new bill would require the creation of the National Center for Cybersecurity and Communications, the creation of a Directors position for that agency and the establishment of a cybersecurity research and development program in the U.S. Department of Homeland Security. Other provisions include the creation of regulations to require owners of critical infrastructure to fix cyber-vulnerabilities and would create a national center focused on preventing and responding to cyberattacks. The bill also would reform the cybersecurity rules for federal agencies, and it would setup guidelines for the hiring and training of federal employees and contractors engaged in the design, development, or operation of agency information infrastructure. According to DigiTimes Intel has begun shipping revised 6-series (Sandy Bridge) chipsets to first-tier notebook and motherboard manufactures. The new B3 stepping chipsets will replace the previously released defective units in the marketplace. Late last month Intel announced they found a flaw in their new 6-Series 'Sandy Bridge' motherboards that resulted in degradation of some of the Serial ATA ports on those boards. Intel immediately halted shipments of the affected chipset and manufactures began a recall. Originally the Cougar Point revision wasn't slated to hit OEMs until the end of the month. However pressures from manufacturers and a strong push towards AMD may have driven the company to bring a solution sooner than expected. According to reports from the Wall Street Journal the Justice Department and the FTC are both interested in examining whether Apple is violating U.S. antitrust laws by funneling media companies' customers into the payment system for its iTunes store—and taking their 30% cut. Even though this sounds like bad news this new scrutiny may never materialize into anything more than a preliminary report. Both agencies threatened formal revues when Apple blocked third party development applications. Apple later eased off those restrictions leading both agencies to back down. Its likely that could happen in this case and even more likely that the government is posturing to appease the masses. Several antitrust lawyers have chimed on the antitrust issues raised from Apple's new in app subscription policy with many stating that Apple may actually face little risk of antitrust violations. "It would be a steep, uphill climb," Hillard Sterling, an antitrust attorney and partner with the Chicago-based law firm of Freeborn & Peters told ComputerWorld.com. "The challengers would have to show that Apple has precluded competition in the marketplace. But there are plenty of platforms where publishers can offer their products outside the App Store." To make a case against Apple, antitrust enforcers would have to show that Apple has market power and is abusing it. This will all come down to how they choose to define a market. Apple's iPhone currently only has a 16% share of overall smartphone sales while the iPad currently has three-quarters of world-wide tablet-computer sales. It all comes down to what the goverment will consider a 'market'. To make an antitrust case, plaintiffs would have to show that the new App Store rules prevent companies from selling their content. Sterling argues, "And that's a no brainer. They can offer their products through alternatives, such as Google's Android Market." The major problem I see, and the point that I think is continually lost, is that Apple controls everything in their market. They preclude any competition from forming since they only allow iOS and MAC OSX on Apple branded devices and only those devices can use the App store and Mac store. If developers want to share in the 'Apple Market' they have to play by Apple's rules. Exclusivity in and of itself isn't anti-competitive. Apple has the right to maintain control over their products as long as it doesn't hurt consumer choice or stifle competition. Apple has had a long standing position of exclusivity and has always sandboxed themselves from any outside competition. They don't allow any other company to create iOS or MAC OSX devices which quells all means of competition against them as a manufacture. The question here will be are they now using the position as not just hardware developers but software developers to create a hostile position. Apple locks their devices to only be able to install apps through the App store and iTunes. This means they control the devices, the store and the means of distribution for hundreds of thousand of apps and millions upon millions of devices. Companies and developers not trying to work within the App store could potentially take a serious hit to business! The second side of an antitrust inquiry could bring up the issues of tying software and creating a better environment for your software to thrive than outside competition. This is similar to what Microsoft has faced with Internet Explorer and other bundled Windows software. 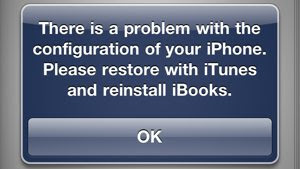 Clearly Apple's own software such as iTunes, iBooks and Safari have been unfairly positioned. Apple blocks outside browsers, media players and media viewers. By this means alone they could be violating antitrust laws. Now with the "tax" on subscriptions they are putting competing content providers like Rhapsody, Sony and Amazon at a clear disadvantage. Jon Irwin, the president of Rhapsody International Inc. has said that the new 30% fee would cut so deeply into the companies profit margins that they would no longer be able to compete. "We have to pay rights holders, the music labels and publishers, for our content," said Irwin. "With all those fees that go out, [adding] Apple's 30% will exceed the revenue on our product. It's not a matter of making less money, it would be zero profit." Companies like Rhapsody would be forced to raise prices in order to recoup lost revenues putting their prices significantly higher than Apple's own offerings. This would seriously hamper any competition within the App Store. Apple has maintained that users can go outside the app to buy those subscriptions although it seems clear by means of ease of use and the 'single-click sign-up option' iTunes offers iTunes would likely become the dominant means for subscribers to subscribe. This means that devs could lose out on hundreds of thousands of dollars. You really have to question the timing in which Apple has chosen to enforce the subscription policy. Apple has stated the policy was already within the terms of service yet they have waited until developers have spent hundreds on development dollars, man hours and advertising revenues to bolster a position within the App store and draw customers. But its only now that Apple decided to enforce those rules. The company has clearly benefited from the works of outside developers yet they wait until now when they have a strong position in the market to enforce their rules. This seems like strong arming and sounds very extortionistic to me. It wreaks of Apple saying we want our cut or we'll dump your app and you can kiss all those customers and advertising dollars good bye! No I'm Not An Apple Hater! As much as I speak out against Apple I'm not a hater. In fact I applaud them for pushing not just the PC/Tablet industry but also the smartphone industry at a time that they both were rather stagnant. I also applaud them for seeing the potential in a device (or string of devices) and doing a great marketing job. Through their actions the company has done some pretty great things to push others. The flip-side to that is that I feel you should hold all companies equally accountable. We should not grant top tier companies the right to completely exclude competition in the way Apple does. In short terms I think turn-about should be fair play. If Apple want to push to get Safari on Windows and other OSs then shouldn't they in-turn be forced to allow IE, Firefox and Chrome on iOS. Anyone that has ever killed their phone or laptop because of an accident spill or splash down in the pool has inevitability asked themselves 'isn't there a way I could have saved my device". In fact there may just have been a chance that you could have revived your device. You just needed a little quick thinking, some ingenuity and of course a few essential tools. Well today Intel comes to the rescue and gives us an article that we thought would be useful for our readers on how to protect and recover from water damage. A TV ad shows a woman seated at a local coffee shop, surfing the web on her laptop for a last-second gift.A passer-by bumps the table and knocks the woman's hot coffee onto the computer. If this has ever happened to you, you probably think it's time to buy a new handheld or computer. Not so fast. While no computer or handheld is impervious to water or other liquids, you might be able to bring your workhorse device back from near-death in a few easy steps. It will take you about a day or so, but it could be worth the effort. Here's what to do after a liquid-based accident involving your handheld or laptop. Get it out of the water as soon as possible. Plastic covers on cell phones are fairly tight, but water can still enter the phone within 20 seconds or less. Remove the battery. Many circuits inside the phone will survive immersion in water if they are not attached to a power source when wet. Remove the SIM and memory cards, if your phone has them. SIM and memory cards survive water damage well, as long as you don't heat them. Just pat them dry with a paper towel and set them aside until you need to reconnect your phone to your cellular network. Remove any covers and external connectors. This will open up as many gaps, slots, and crevices in the phone as possible to allow for more thorough drying. Get the water out. Carefully shake the phone without dropping it, then use a cloth towel or paper towel to gently remove as much of the remaining water as possible. Dry excess moisture by hand. Rinse carefully. If your phone falls into the ocean or another form of salt water, rinse it with fresh water before salt crystals can form in the phone after removing the battery. If possible, use a vacuum cleaner. This will remove all residual moisture by drawing it away from internal circuitry. Hold the vacuum at least two inches away over the affected (and accessible) areas for up to 20 minutes to avoid problems with static. Use a can of compressed air. Hold the air can straight up (holding it upside down, sideways, or at an angle will shoot out the customary freezing liquid) and shoot into the crevices, speaker, microphone, and keypad. Any excess water should come out. Use a water-soaking substance water to help draw out moisture. An overnight dry "soak" in a bowl or bag of uncooked rice or desiccant gel works well. Let the phone sit on absorbent towels, napkins, or other paper. Check the absorbent material every hour for four to six hours. If moisture is evident, change cloth or paper and continue to let the phone sit. Test your phone. After you have waited a day or so, make sure everything is clean and looks dry. Then reinsert the battery and try turning it on. If your phone does not work, try plugging it into its charger without the battery. If your phone works, you need a new battery. If not, take your cell phone to an authorized dealer. Don't try to hide the fact that it has been wet—internal indicators will prove the presence of moisture. Even though most laptops now have sealed keyboards to keep fluid from leaking into the computer circuitry (or at least slow its progress for up to an hour), spills are still one of the major causes of laptop deaths. Here's how to minimize damage if a spill occurs. Immediately turn off the machine. If necessary, do a hard shutdown by pressing and holding the power button. Use a soft cloth to blot up—not wipe up—excess liquid. A wiping motion will merely push the liquid around. Remove any external cables, drives, network cards, and bays. Blot up liquid that may have gotten onto the removable media. Don't take apart the casing. This can damage internal components and void your warranty, if applicable. Tilt the laptop gently from side to side to allow liquid to drain out. Do not shake the machine. Turn the laptop upside down to drain remaining excess liquid. If you have one, use a blow dryer on the coolest setting and carefully dry the keyboard and any parts you have removed. Keep the dryer moving over all parts. Let the laptop air dry upside down for at least one hour; 24 hours is preferred. When the laptop is dry, reattach any removable components and start up the machine. If it starts with no problems, test-run several programs and try using the external media. If you see sparks or smell any foul odors, immediately power down the system. Take the unit to a repair specialist. Follow the above procedures, but carefully clean the surface of the unit after initial drying. Use a lightly damp, soft cloth with a diluted, 50-percent solution of isopropyl alcohol or watered-down window cleaner, a non-abrasive brand name cleaner or professional keyboard cleaner. Don't forget to clean the touchpad in similar fashion. Turn unit down and let it air dry for at least an hour; a day is preferred. If necessary, take the unit to a repair specialist. Remember to back up your laptop's contents following the spill. Even if you successfully revive it, the machine may be on borrowed time and could malfunction in the future. By now I'm sure you've heard that Nokia has announced a partnership with Microsoft to release Windows Phone OS based mobile products and services. What you might not have heard is that Nokia is not adopting Microsoft's current Windows Phone 7 platform – which means that there is no chance of any handsets running Microsoft's software before the end of summer. According to reports Nokia has decided to forgo development of a new handset or any other mobile devices based on WP7, the current version of the Windows Phone platform. Instead the company is going to wait until the next major release of the operating system, codenamed "Mango", is made available this coming October – and that is expected to have a slightly different name from the current Windows Phone 7 name. The reports cite the odd exclusion of “Windows Phone 7,” only the mention of a new “Windows Phone” in last weeks announcements. That coupled with Nokia's refusal to confirm a likely release date for its first Microsoft-powered handsets has many convinced the company will be waiting until at least fall of this year. Stephen Elop, CEO of Nokia, has stated that we will see the Windows Phone operating system on a Nokia device this year, but the company will be shipping them "in volume" in 2012. So its possible we won't actually get hands on the device until early next year. Sony Tells Gamers "Crack Your PS3 Get Banned From PSN"
"By identifying PlayStation 3 systems that breach our guidelines and terminating their ability to connect to PlayStation Network, we are protecting our business and preserving the honest gameplay experiences that you expect and deserve," Jeff Rubenstein, Sony Computer Entertainment's Social Media Manager, wrote on the company's official blog. It looks like Sony means serious business. The company is already suing George "Geohot" Hotz, the hacker that originally discovered the PS3 root key for DMCA violations. A judge already ordered Hotz to remove the code from his website and also demanded he remove a how-to YouTube video. Apple clearly holds a dominate positions in the smartphone application market with the huge success of the App store. With their recently announced in app subscription service they are pushing to become a major player in the digital magazine and newspaper business. Not to be out played Google's Eric Schmidt has announced Google One Pass, a service similar to that of Apple's that lets publishers set their own prices and terms for their digital content. With Google One Pass, publishers can maintain direct relationships with their customers and give readers access to digital content across multiple websites and mobile apps. Offering a true purchase once view-anywhere functionality suvrscribers who purchase from a One Pass publisher can access their content on tablets, smartphones and websites using a single sign-on with an email and password. Google says One Pass is easy to implement and simple to manage. The set up is minimal and content will be managed through a simple online interface, so publishers can try out different approaches to selling content with minimal development cost and see what works for their business. It is powered by Google Checkout, so publishers’ e-commerce and payment processing needs are covered, and there is no need to build a third-party payment system into publishers sites. Publishers have control over how users can pay to access content and set their own prices. They can sell subscriptions of any length with auto-renewal, day passes (or other durations), individual articles or multiple-issue packages. Google One Pass also enables metered models, where a publisher can provide some content or a certain number of visits for free, but can charge frequent visitors or those interested in premium content based on the business model that the publisher prefers. Unlike Apple's service which takes a 30% cut right off the top Google is reportedly letting publishers keep about 90% of subscription revenue gained through One Pass. One Pass also operates across multiple sites, on multiple formats unlike that of Apple and their iTunes only model. Speaking at an event at Humboldt University in Berlin Chief Executive Eric Schmidt takes a clear jab at Apple, "Our intention is to make no money on it we want the publishers to make all the money." Clearly the battle between Google and Apple is starting to heat up and it looks like nothing but great news for developers and consumers alike! According to 9to5Mac, AT&T is trying its best to keep iPhone users by offering the up more perks than ever. Some iPhone customers have confirmed they are receiving text messages which say users can get 1,000 bonus rollover minutes at no cost. You simply have to reply “YES” to the 11113020 number and you will receive a text that says your account has been credited! Comment's over at 9to5Mac have confirmed this works for any iPhone customers even if they have not yet received the text. We are not sure if anyone else has tried it or not but it might be worth a shot. Update: I just tried it from my regular AT&T cellphone and got the confirmation reply so we'll see if it works or not! This is just one of the latest moves by AT&T stop the masses from fleeing over to Verizon or other networks. Earlier this week the company announced the launch of a new plan that offers unlimited talk and text with any mobile number on any U.S. carrier regardless of your recipient's provider. Users simply need to activate their unlimited mobile-to-mobile promotion by visiting www.att.com/anymobile. The new promotion is available on $39.99 and higher Nation plans and $69.99 and higher FamilyTalk plans. All this follows reports several weeks ago that AT&T was offering iPhone owners free microCells to boost in-door coverage using the consumer’s broadband connection. The 3G microcells($199.99) went on sale from AT&T last year and are mainly popular for those living in low coverage areas. The microcell works like a signal extender boosting your broadband connection by actually creating a new 3G signal using your broadband connection. A few caveats to the deal are that in order to accept it you must sign on to an additional 12-month contract. If the customer decides to break or cancel the agreement before the 12-month contract ends, they will have to return the microcell to AT&T or pay the pro-rated cost for it. This agreement won’t have any effect on your handset contract end date or your ability to upgrade your phone. All these promotions are great for consumers as it actually drives a little competition. So for now at least kuddos to AT&T for not just throwing in the towel. Essentially there will be three series separated by performance levels. The new FX-Series will consist of "Zembezi" processors based on Bulldozer micro-architecture with four, six or eight cores. These will be your high end enthusiast/gamer level chips.The A-Series processors will consist of the "Llano" APUs (accelerated processing units). These will have two or four cores and an ATI Radeon HD 6000-class graphics core. These will consist of the mainstream market mid-range chips. As for the E-Series, this group will serve the low-end market with APU's using one or two cores and a basic Radeon HD 6000-class "Zacate" graphics core. The new naming scheme is really nothing new to AMD fans as they have been using the AMD Vision name and logos to differentiate platform levels for awhile now. However if the plans proceed according to the reports specific brand-names like Athlon, Phenom, Phenom II and Sempron will vanish into oblivion. User can also expect a new set of updated logo's (I've seen these and depending on which they choose they look cool) that will stand out a little more making it easier to differentiate the products. X-Men: First Class, the latest addition to the X-Men film series, is slated to hit theaters June 3, 2011. This much anticipated prequel is set in 1962 and reportedly depicts the beginnings of the X-Men team. From the looks of the trailer we not only get a good look at the origins of the team and early lives of our favorite characters but it looks like we'll be introduced to a few new characters as well. So far the reception has been mixed but from what I see it looks fairly decent. Apple has had a busy week this week, what with the Verizon iPhone 4 going on sale and rumors that the company has ramped up production of the new iPad 2. There has also been speculation about the new iPhone 5 and even a few rumors about iPad 3, yeah I know! Yesterday Apple and Verizon officially began accepting orders from the masses. Verizon was accepting pre-orders for current customers beginning Feb 3rd but now any of the millions of Apple Fans out there can order them. Just drop by Apple.com or Verizon.com and pick out your plan. For users that want a more hands on approach Walmart and BestBuy both confirmed that they will start selling the Verizon iPhone 4 today, Thursday, February 10. The smartphone will be available at almost 600 Walmart in-store wireless areas, and the store will also have a variety of accessories like cases, car chargers, wraps, and hands-free options. So now that you have your iPhone fix you'll want your latest iPd rumors. Well Apple has reportedly started manufacturing the iPad 2 and it should be ready for release just as soon as they have enough stock on hand. It’s still unclear when the iPad 2 will be formally introduced however some speculation suggests it may be here just in time for spring. The Wall Street Journal reports, based on "people familiar with the matter," that the new version of the iPad will be skinnier and lighter than the first edition, plus boast at least one front-facing camera that would enable FaceTime videoconferencing, like that available on the Apple iPhone 4 smartphone. The Journal also reports that the device will be lighter, boast more memory and a more powerful graphics processor. These reports should comes as no real surprise as most of these rumors were already floated around. The iPad 2, like the iPhone, is also rumored to be available from both AT&T and Verizon this time around! If that's not enough iPad joy for you Appleinsider and several other sites are floating around a new rumor fueld by ohn Gruber of Daring Fireball that Apple may be prepping iPad 3 for a fall 2011 launch. This is a very very speculative rumor and could be nothing more than guess work but we'll keep an eye on it anyways and report our findings down the road. But wait you mentioned the iPhone 5, so where are those rumors? Well here goes, the team over at iFixit recently did a Verizon iPhone 4 Teardown. Upon opening the device the team found a World-Mode CDMA/GSM Chip which means we could see a phone from Apple that works on both GSM and CDMA networks down the line. There were also a few upgrades such as dual antenna, lighter battery and a new GPS chip. All of which are expected to be seen in the iPhone 5. Other rumors point to a totally new design as well as updated specs with a new 1.2GHz processor or even a dual core setup. Rumors also point to a larger screen: 3.7" instead of 3.5" and a massive graphical boost as it moves to a dual-core GPU - this could herald true 1080p output from the new device. There has been some speculation that Apple might include Near Field Communication (NFC) technology in the iPhone 5G, turning it into a kind of credit/debit card. We know Apple want a piece of the swipe to pay pie so there is no doubt they are working on something we just don't know what yet! Speculation puts the release sometime near summer with June or early July being the most likely. Update: According to Bloomberg Apple is reportedly working on another set of iPhone that will be smaller and cheaper. The reports suggests Apple has considered selling the new iPhone for about $200, without a two-year service contract. According to Microsoft the latest version of Internet Explorer (IE9) is all but ready to be released to the masses. So today the company release what it is calling a Feature Complete Release Candidate (RC). Readers wanting to checkout the new RC can download it via Beauty of the Web. The IE9 RC introduces several features that build on those themes and on extensive feedback from users. These include smaller changes like being able to close a tab without making it active – a small addition that users really care about, Ismail said. Other major improvements include the new Tracking Protection feature, some user interface tweaks, more support for the emerging HTML5 Web standard, and even faster performance on standard benchmarks. The Tracking Protection feature is the new privacy feature in Internet Explorer 9 designed to help keep third-party websites from tracking your Web behavior. With Tracking Protection, consumers can filter content in a page that may have an impact on privacy. Here you see a stock ticker, links for social sharing, videos, advertisements and single pixel images used for tracking page usage by third parties. Dell's expensive MacBook Air Rival the Dell Adamo line has sang its last hurrah. According to CNet the company has officially discontinued the product line moving the last few new Adamos out the door at steep discounts. First introduced back in 2009 the Dell Adamo was immediately tagged as a competitor to the new MacBook Air. While the Adamo matched the MackBook Air not only in styling and specifications it unfortunately matched the MBA in price as well, which might have ultimately led to its demise. When initially introduced the sleek little laptops fetched a $2000 price tag putting them well out of reach for most consumers and in many peoples eyes far to pricey for a Dell. Dell has repeatedly slashed prices over the last several months finally cutting the price on the 13-inch Adamo down to as low as $799. Dell had to downgrade a few components in order to slash the additional 200 bones from the previous $999 price tag and initial price of $1099. The laptops are still listed on the Dell site, however there is no pricing information and it is noted that they might not be available in your area. As a final note, refurbished 13-inch Adamos are still available at low prices. 2011 is set to be one of the most exciting years for gamers in quite some time. In addition to two breakthrough portable game consoles being newly released, the Nintendo 3DS and the Sony Next Generation Portable, the gaming trends that continuously changed through 2010 will continue to develop. From social network gaming to games on smartphone apps, the market for these games should continue to grow in 2011. The biggest breakthrough in gaming in 2011 may well be in portable gaming. The Nintendo 3DS will produce 3D effects and yet the player will see these without any special glasses. Not only will this happen in games but 3D movies and videos can be stored on the console which will increase its popularity. Released in March the Nintendo 3DS is bound to make a big splash in the market and will be a popular choice for gamers. The device will most likely be in competition with the Sony Next Generation Portable which is going to have a similar amount of power as the PS3. No date is set on its release but with Wi-Fi and Bluetooth tied in it is also going to be a popular choice for gamers. The internet is becoming an increasingly popular destination for gamers. Online multiplayer games, such as World of Warcraft, free internet games and social network games are being played with growing regularity. Of course along with these, games such as The Sims and Call of Duty will continue to be popular choices on the PC as well as elsewhere. For this reason gaming PCs are growing in number. Games with highly detailed graphics or fast paced action rely on the PC that they are played on to be up to standard in terms of graphic cards and central processing units. For that reason more and more computers in 2011 will be bought for gaming itself. The Cyber Power PC Black Pearl for example is one such computer and brings to the table a lot of RAM memory power, it uses the most powerful CPU around and has received high praise for its video and audio capabilities. Of course, such machines are very difficult to afford for the average gamer and so different standard of computers will be used by different people. Video and audio are particularly important as the better the sound and visual content the better chance gamers have of excelling and enjoying the overall experience. For that reason speakers and surround sound systems used are becoming ever more important in the gaming world and as such their sales figures with regard to gaming will also most probably rise in 2011. Cisco’s Simon Fleming-Wood, VP of Marketing for Cisco Consumer Products will host an event at ARISE Charter High School in the Fruitvale District of Oakland on Monday, February 7 from 10:30 a.m. – 11:30 a.m. PST. At the event, Cisco will stress the importance of closing the digital divide and provide ARISE students with all the 21st century learning tools they need to succeed by donating Valet Wireless Routers and Valet Connector Wireless USB Adapters to the families of the entire student body, grades 9-12, for use in their homes. The need for a seamless school-to-home connection is even more important than ever, yet only one-third of U.S. homes are equipped with wireless, according to IDC. Cisco is addressing this need with a simple way to help more families benefit from home wireless. In addition to Cisco’s donation, the Oakland Tech Exchange West will be present to offer free home computers and training to ARISE students who don’t have them. The press conference will be held at ARISE High School inside the Community Room. City of Oakland elected officials and school board members will be present to speak on the importance of technology in the classroom and at home. Why:The accessibility to wireless at home connects teachers, parents and students for enhanced learning before and after school. Home wireless can also have a very positive impact on families by enabling an environment of anywhere, anytime learning in the home. Critics speaking out in opposition to the new Cyberspace as a National Asset Act, also dubbed by myself and many others the "Internet Kill Switch Bill" have forced a rebuttal by backers of the proposal Senators Joseph Lieberman, Susan Collins and Tom Carper. The trio issued a statement this week condemning the actions in Egypt and refuting claims that the proposed legislation would give our president the same power over the internet the Egypt president so callously wielded. “The steps the Mubarak government took last week to shut down Internet communications in Egypt were, and are, totally wrong. His actions were clearly designed to limit internal criticisms of his government. Our cybersecurity legislation is intended to protect the U.S. from external cyber attacks. Yet, some have suggested that our legislation would empower the President to deny U.S. citizens access to the Internet. Nothing could be further from the truth. We would never sign on to legislation that authorized the President, or anyone else, to shut down the Internet. Emergency or no, the exercise of such broad authority would be an affront to our Constitution." "Our bill already contains protections to prevent the President from denying Americans access to the Internet - even as it provides ample authority to ensure that those most critical services that rely on the Internet are protected. And, even though experts question whether anyone can technically ‘shut down’ the Internet in the United States, we will ensure that any legislation that moves in this Congress contains explicit language prohibiting the President from doing what President Mubarak did." The legislation specifically says the President can only invoke the emergency authorities “if there is an ongoing or imminent” attack that would “cause national or regional catastrophic effects” by the disruption of the nation’s most critical infrastructure. The President must notify Congress, and the emergency measures cannot be continued beyond 120 days without congressional approval. The legislation expressly forbids any action that would violate the First Amendment and also prohibits limiting internet traffic, emails, and other forms of communication (except those between critical infrastructure providers) unless no other action would prevent a regional or national catastrophe. Being an out spoken detractor of this bill and having studied its many forms I do have to say that the new legislation is a bit more focused and not as broad as it's previous incarnations. However, the Senators are still missing several key points and there are still several areas that are very open to interpretation. For starters I didn't see anywhere that it expressly states the President can only enact the law for 120 days. Not that that really matters, our economy would go to hell in less time than that. Reports suggest that the recent blackout cost Egypt's economy about $90 million, or $18 million per day, comprising 3% to 4% of the country's economic output. The US government would clearly lose more than that on a daily basis and that could led to a catastrophic decline in our economy over the short term. Figure that over an extended period of 120 days and you are talking serious long term ramifications. The wording of the bill and what networks might be impacted under the 'most critical infrastructure' is still very vague. There are some new guidelines added that were never there before but they still fail to pinpoint what networks would and wouldn't been shutdown. (E) other risk-based security factors that the Director, in consultation with the head of the sector-specific agency that is the first-party regulatory agency with responsibility for the covered critical infrastructure concerned, determines to be appropriate and necessary to protect public health and safety, critical infrastructure, national security, or economic security. The last contention just simply makes no sense at all. If you think you are under 'cyber attack' or there is a threat from a serious worm, botnet or virus of some sort that is so threatening that you need to cut the lines of communication to major networks then clearly you are going to cut email services and limit internet traffic which is the way most of the infections get it. Either the Senators don't get that or they think we are just stupid enough to buy there arguments. Language of the bill aside I see several other areas that bother me. First is the creation of a new government body. We already have several agencies, many of which the legislation would draw on for support, that are up and running now that could and do handle cyber security threats. Why do we need to funnel millions of dollars to the creation of yet another agency? Second is the feasibility of such a law and the ability of the agencies to react in a serious time of crisis. Clearly there will have to be a contingency plan in place, which the bill calls for new regulations to govern the 'critical infrastructure'. There is still really no clear guidelines how and what networks could be cut off. If there is a 'perceived' threat who decides what gets cut off and when? Are we going to have a bunch of analysts sitting around waiting to make a decision then calling the president who then has final say? If so we already lost as a well organized attack would probably have already gotten in. The full bill can be found here H.R. 174: Homeland Security Cyber and Physical Infrastructure Protection Act of 2011. I strongly suggest everyone read the bill for themselves and draw their own conclusions. I for one still do not like the wording of the bill and think it potentially hands over too much control to our government. I've seen a few erroneous reports about the newest tethering offer from AT&T so I thought I'd try to clear a few things up. Yesterday AT&T announced the new AT&T Mobile Hotspot application. A new app that will allow select smartphone customers to connect (tether) multiple devices from their smartphone – via Wi-Fi. The feature will launch February 13, beginning with the in-store launch of the HTC Inspire 4G. Customers will have to bundle the AT&T Data Pro plan at $25/mo for 2Gbs with an additional $20/mo AT&T Mobile Hotspot plan for a total of 4GB for $45 per month. This is where most sites are making their errors. AT&T is not adding 2Gbs to the $25/mo plan for free! They are essentially bundling two plans for those of you that want to use the new Mobile Hotspot app. AT&T has not specifically mentioned the iPhone in this plan, in fact most reports are suggesting that the iPhone will not initially be part of the new plan and it appears as though those users will still be limited to the $45/mo 2Gb plan they have now. At&t was nice enough to respond to my Facebook inquiry. So basically if I understand this correctly, they are just adding two more Gbs to their $45 plan and the other information is some kind of marketing hype? I'm not really sure since their response made about as much sense as the PR. AT&T Hey Richard -- It's magic! No, just kidding. We appreciate your feedback and hope to help clear up your question. Adding 2GB to those already on a tethering plan is new for us, it isn't a new plan, we're just throwing in a few extra GBs at no extra charge -- that will start Feb. 13th. Think you're getting $45 as a result of a combination package -- $20 for the tethering plan plus $25 for the DataPro smartphone data plan. Google reportedly raised the stakes for this years Pwn2Own hacking contest, offering up an additional $20,000 for anyone that successfully hacks into Google Chrome. Organized by the Zero Day Initiative (ZDI) team at security researchers TippingPoint, the 5th annual Pwn2Own 2011 contest pits security teams against some of your favors operating systems equipped with the webs best browsers as well as some of our favorite smartphones. This year the contest will offer up to $125,000 in prizes ($105k plus Google's bonus) for the teams that find and exploit security holes in Internet Explorer, Safari and Firefox, as well as in Windows Phone 7, iOS, Blackberry 6 and Android. To walk off with Google's $20,000 the researchers must find and exploit two vulnerabilities in Google's code and successfully break out of the browser's protective sandbox on Pwn2Own's first day. Only on the second and third days of the contest can researchers employ a non-Chrome bug, say one in Windows, to break out of the sandbox. A successful attack on the second and third days will still put $20,000 in the researcher's pocket, but only $10,000 of that will come from Google; TippingPoint will pony up the other $10,000. Charlie Miller, the only researcher to have won Pwn2Own prizes three consecutive years, wouldn't commit last week to trying again, but on Wednesday he noticed the $20,000 for Chrome. "Pwn2own now offering 20k for attack on Chrome," said Miller on Twitter. "Must be hard, glad Mac OS X doesn't sandbox their browser." It would be great to see if Miller has anything up his sleeve for Chrome and the additional bounty might just be whats needed to entice him to enter again this year. The contest will be taking place on the 9th, 10th, and 11th of March, 2011 in Vancouver, BC during the CanSecWest conference. This blog post will be updated as the contest plays out, but for real-time updates you can follow either @thezdi or @aaronportnoy on twitter or search for the hashtag #pwn2own. A few years ago we introduced Geek News readers to the "Visible Body", a cool new tool that gave users and interactive human anatomy visualization. At the time the visible body was a free tool but has since become a subscription based service. Today we are pleased to introduce users to a great alternative, Google Body Browser. Google Body is a detailed 3D model of the human body. Using your web browser you can peel back anatomical layers, zoom in, click to identify anatomy, or search for muscles, organs, bones and more. You can also share the exact scene you are viewing by copying and pasting the URL. You need a Web browser that supports WebGL. Generally I'd suggest using the latest Firefox beta but it wasn't working correctly for me. I downloaded and used the latest beta version of Google Chromeand had no issues. I didn't even need to use the steps listed in the link above. Just went straight the body browser and everything worked great. Figuring that many of our readers might have questions or concerns over the potential recall of their motherboards, desktops or laptops I thought I'd try to post a complete list of details as we know them. First and foremost, as the chipset flaw is said to only potentially affect a couple of SATA ports on most boards most motherboard manufactures are offering a voluntary recall. This means if you are already running a Sandy Bridge setup and are happy with it, or are willing to take the gamble you DO NOT have to return it. They are also offering you the option to wait until new the new boards are out sometime around April before you have to make any returns. There might be a few exceptions but here's a list of details from each manuf. ASUS will provide total warranty services this includes the hassle-free return and/or replacement of all affected ASUS products. For all customers who already own any ASUS product affected by the design error identified by Intel, simply visit this page for detailed warranty and service hotline information. For motherboards, ASUS is offering you the option of returning any possibly affected motherboard for a swap or sales return. All warranties for affected motherboards will be reset to give you enough time to carry out any exchanges. GIGABYTE will provide a replacement motherboard with the new 6 series chipset onboard at the end of April in order to reduce any inconvenience to customers who are affected by this issue. GIGABYTE recommends that all customers who purchased GIGABYTE 6 series motherboards contact their local dealer (retail store where you purchased the motherboard) at the end of April for a motherboard exchange. GIGABYTE will provide an equivalent new motherboard replacement. As mentioned in our previous post MSI plans a full replacement of any affected product. The MSI product you revieve will have similar or better specs than the one you are currently using. These new MSI products will become available in April and you can keep your current board until then. This way you will miss your product only for a very short period of time. MSI will release details about their return procedure before the end of February. If you are not confident about your current MSI based 6 series product MSI offers you the possibility to return the product to your point of purchase which will credit you. Upon availability of the new B3 Stepping of the Intel 6 Series Express Chipsets, ECS USA will replace customer’s product with a brand-new one. New motherboards are expected in April. ECS USA will keep its customers updated on this schedule. o Customers who wish to keep the product or have any issue returning the product at the point of purchase, ECS USA will absorb the cost of the product exchange 100% by offering a product swap. If a customer has one of the above products, please communicate with ECS USA via one of the following methods to arrange a replacement once they become available: 1. Via e-mail (preferred method): elite@ecsusa.com 2. Via voice-mail: 510-771-0208. This is a voicemail, only. Toshiba is offering a full recall of all affected models. At this time, Toshiba requests you return the product to the place of purchase for a full refund. You should back up your data and remove any confidential, proprietary or personal information before returning the product. Below is a complete list of affected models. HP said customers can return their PC and either "choose a comparable product" or receive a full refund. We are waiting on further details as to which models were affected and where to return them however its safe to assume you need to return them to the retailer you purchased your product from. HP said only a small number of consumer desktops and laptops were affected, along with one commercial desktop PC model sold to small-business customers in the Europe-Middle East-Africa market. Dell has confirmed that only four Dell products on the market were affected: XPS 8300, the Vostro 460, the Alienware M17x R.3 and the Alienware Aurora R.3. "We're committed to addressing this with customers who have already purchased one of the four products," the company said in a statement, however no further details were given. For customers impacted by this issue, Dell offers a couple of solutions. Customers experiencing issues will be supported under the warranty and service terms. Once we have new chipsets from Intel in early April, we will provide a motherboard replacement that corrects the design issue at no cost to our customers. Replacements will be provided at the customers’ location and convenience via authorized Dell service providers. Affected customers may also take advantage of the applicable return policy, which may vary by region. Several other companies as well as system builders like Cyberpower were also affected by the chipset flaw. Many of these companies have delayed shipping products, canceled orders or are contacting customers directly to resolve the issue. I suggest anyone with questions or concerns contact either the retailer they made their purchase from or contact the manufacturers directly. Most retailers are offering full replacement or refunds of not only the boards but also the cpus and most the other components purchased with the boards.